Spain is one of the world’s most popular countries for tourists to visit, which is kind of obvious when you consider this is the home of tapas (or pintxos in the Basque north), the place which inspired IMO Hemingway’s magnum opus For Whom the Bell Tolls, and is steeped in history from pre-Roman times through the Civil War and the dictatorship under Franco. They also have an amazing soccer *ahem* futbol league. You’ve probably heard of Real Madrid and FC Barcelona? Let the record show I supported Real Betis Balompié, the “other” team in Sevilla, before they do a Leicester 50 years from now and everyone hops on the bandwagon. 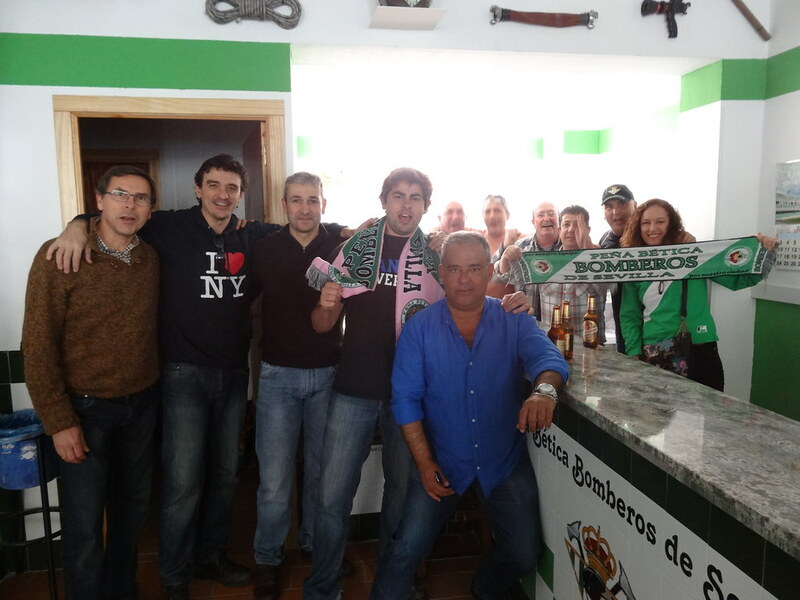 That’s me, quite drunk, at a pre-match gathering of Betis fans in 2014. They finished bottom of the league and were relegated. Viva er Betis manque pierda! – Long live Betis, even when they lose! Oh right, you want to know about good flight deals to Spain, not hear me ramble. There’s a healthy patch of availability from the cities below around April-beginning of June. Madrid and Barcelona will probably be the cheapest two cities to fly to but you’ll notice a few other destinations on the list. Tell me if you book one of these flights! And ask me for help if you need it. Shameless plug: to get the lowest possible fare and support NY2L flights, consider doing it through this Momondo search engine link. Boston-Almería: May 3-12 on Iberia for $421. Almería is a city in the southern province of Andalucía, in case you haven’t heard of it. If you want to fly somewhere else besides Spain, you can book a cheap connecting flight using one of these awesome flight search engines. It might help to check this handy infographic on budget airlines such as Vueling, which is based on Spain. If you want to take the high-speed train between Madrid and Barcelona or learn about other ways to get around Europe, this list of travel websites and apps is a great resource to check out.